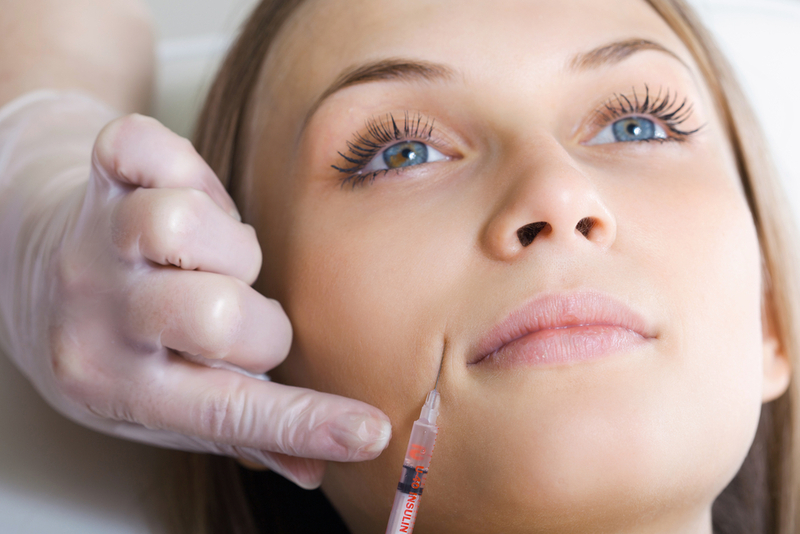 Dermal fillers consist of synthesised hyaluronic acid, which is supported in the collagen skin matrix. The molecules mimic natural compounds found within the collagen in the skin and replacing these lost naturally gives your skin back the ‘bounce’ it has lost. For nasolabial folds and creases (laughter or smile lines) we will put some local anaesthetic cream on the area and top this up with some local anaesthetic injections. This will sufficiently numb the area, so that the injections are not painful. The needles used for dermal fillers are very thin, so this helps reduce pain. The gel-like solution is injected into the skin to add volume and creates a more youthful appearance. The hyaluronic acid draws water to the area which helps support and hydrate the skin and also encourages the formation of new collagen in the area. The dermal filler injections usually last 6-12 months. They are all fully biodegradable and will break down gradually over time. As the absorption times differ with individuals, how the area looks and feels is the best indicator that a top-up is needed.